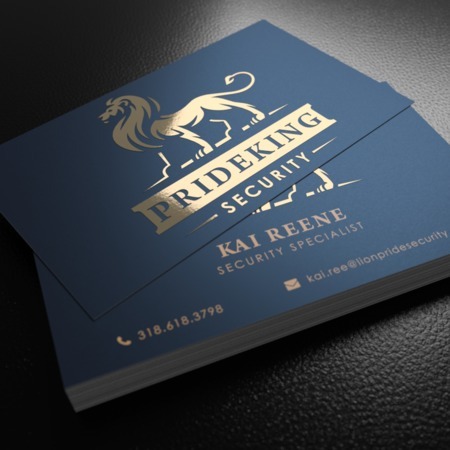 If you need your cards to be noticed, foil business card printing is exactly what you need. Premium metallic foil stamped business cards are the perfect way to emphasize the upscale qualities of any luxury brand, or give a futuristic shine to a tech-oriented business image. Accent any part of your card with copper, gold, or silver foil highlights. Try adding foil to your company’s name or logo for a standout look. Metallic finish business cards come in a range of sizes, including standard 2” x 3.5”, as well as 2.5” x 2.5” square cards. Use our spot UV options to add an extra shimmer on your foil business cards and further reinforce their premium look and feel. Metallic business card printing isn’t just for businesses either. Print them as personal cards to surprise and impress anyone. Custom metal business cards are also a good option to use as coupons or mini-invites for premium brands.